One of my favorite things about fall is all the delicious foods we get to enjoy that we don’t tend to make any other time of the year. Today you’re in for a treat because a group of us are sharing some of our favorite fall appetizers. 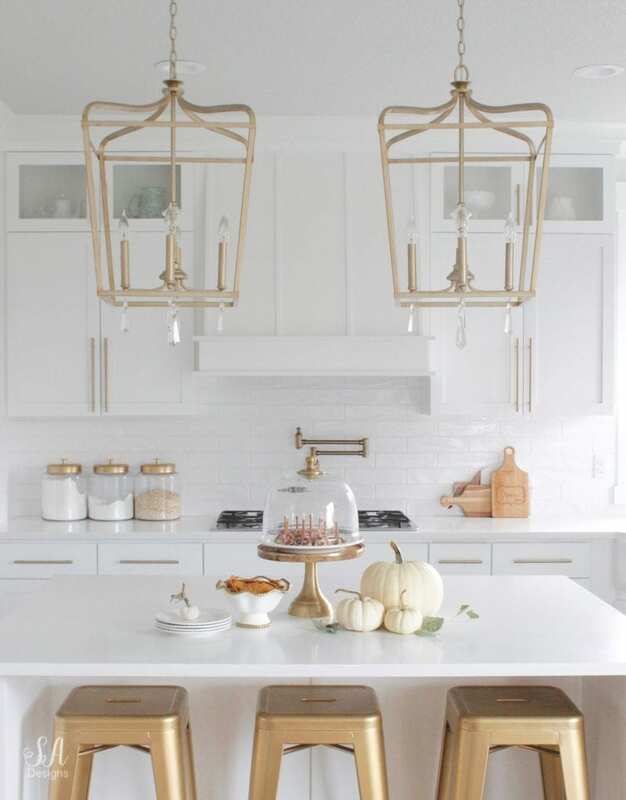 Holiday entertaining has never been easier! 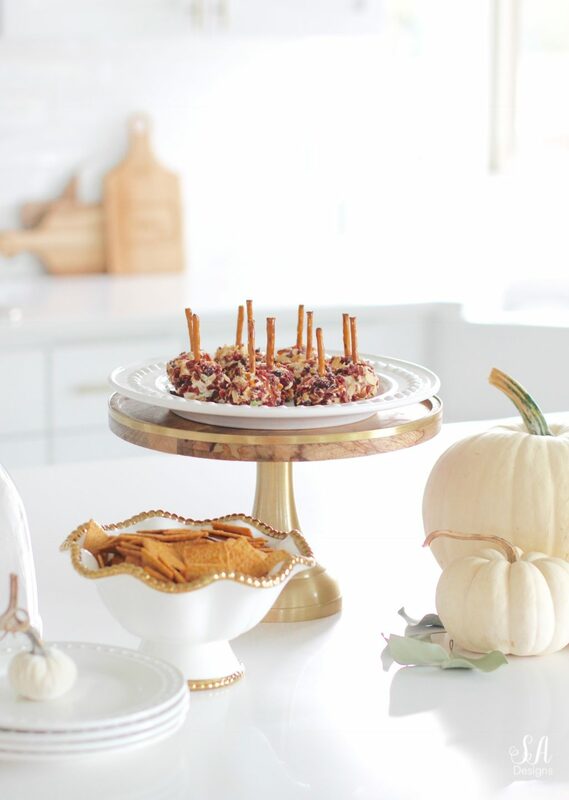 Thanks so much to Kristen from Ella Claire Blog who brought us together for this fall and winter series of delicious recipes. I’m sharing my Cranberry Almond Mini Cheese Ball Bites recipe today and it’s so easy and sooooo delicious. We may or may not have eaten them all for lunch the other day. My family loves this recipe! 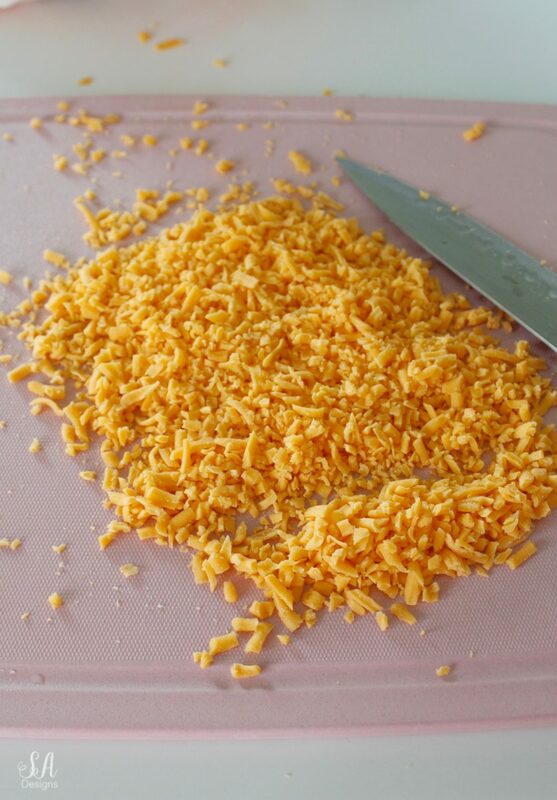 I have to say 2 things…..
First, I have a kid who doesn’t love cheese (I know, how is she mine right?!) and she LOVES this recipe. 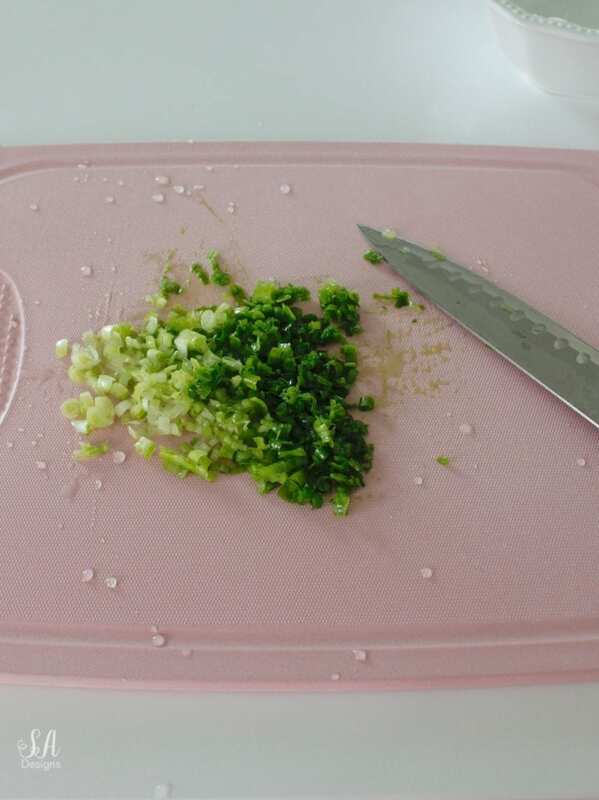 Second, there’s nothing worse than going to a blog post for a recipe and there is the looooongest story or useless info and you keep scrolling and scrolling for the recipe because you want to make it right that very minute. Haha! That happens to me every time! So let’s get to it! 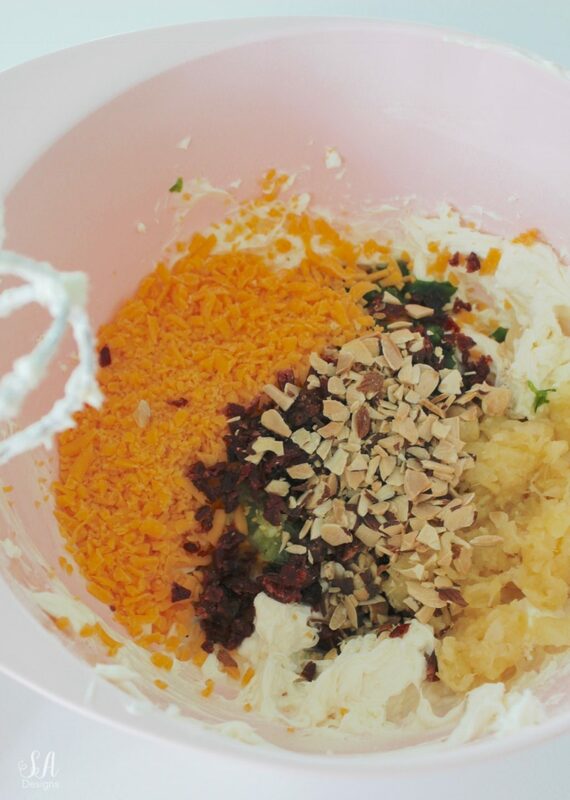 Combine the ingredients in a large bowl, stirring until combined. 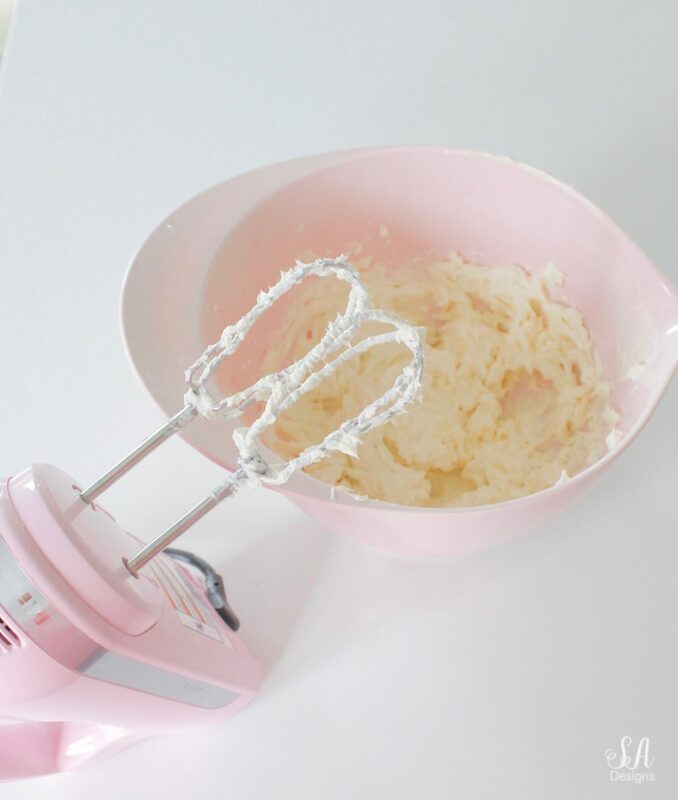 Use a cooke scoop to scoop out small balls. Place almonds and cranberries into a separate, shallow bowl. 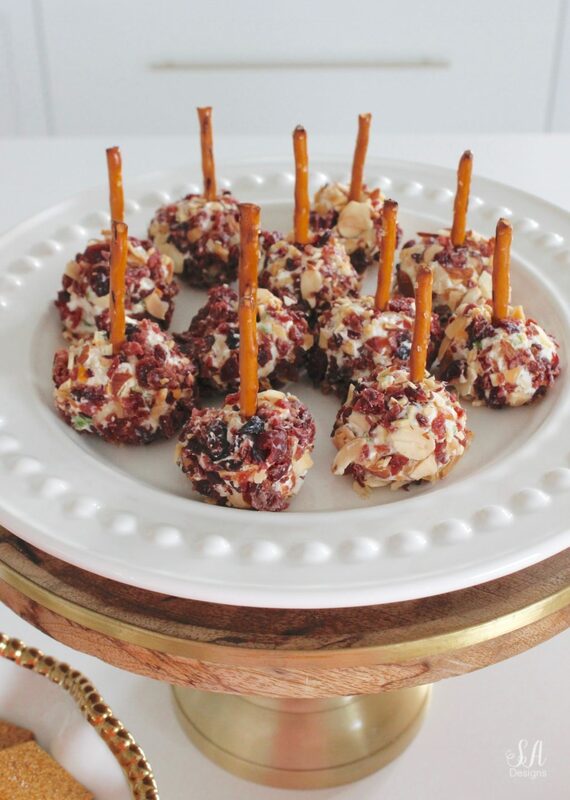 Roll the cheese balls into cranberry-almond mixture and spear with a pretzel stick. 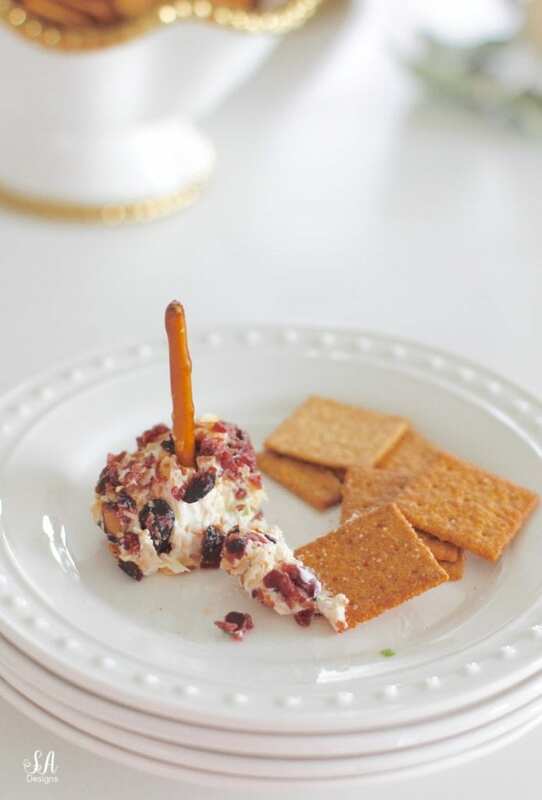 If preparing more than 4 hours in advance, don’t add the pretzel sticks until ready to serve. 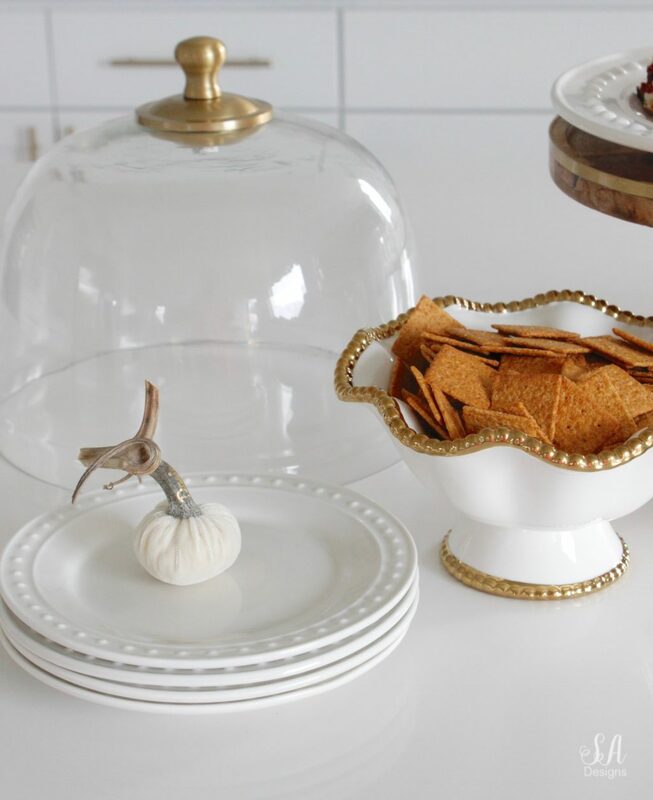 We love thin wheat crackers in our home so I always serve them with my mini cheese balls but when having guests, an assortment is nice also and even some gluten-free crackers for those with intolerances. It takes me about 15-20 minutes to make these and they are always a crowd favorite! 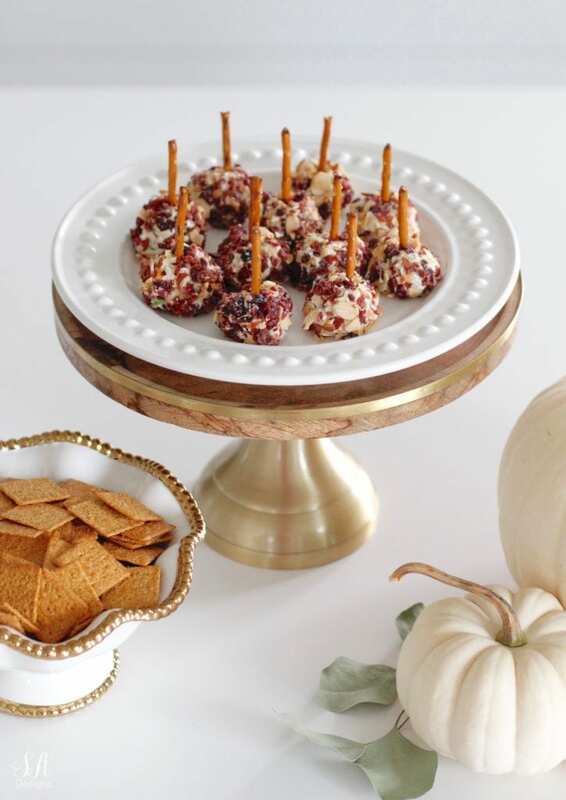 Please visit these other delicious fall appetizers that my friends are sharing! 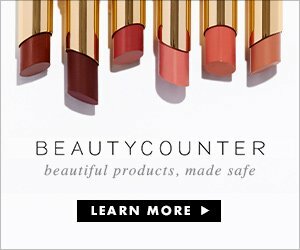 Pin them for later! I ADORE this idea! They are so cute and I’m sure deliciously divine! YUM! !